Birds of a Feather and Friends was created to help fellow pet owners who need an alternative or addition to traditional doggie day care or boarding facilities for their companions. You have found us because you belong to the community of pet owners who are looking for the best in-home care for their pets. Birds of a Feather and Friends has been serving Gurnee and surrounding areas in northern Lake County for 13 years and counting. I have cared for pets from A-Z – birds, bunnies, cats, chickens, dogs, fish, guinea pigs, hamsters, iguanas, newts, tortoises, turtles ….and more to come. I always enjoy new critters to care for!! Work pressures and ever-changing schedules, illness, social commitments, vacations and emergency situations all affect not only our lives, but our family pets’ lives as well. I am committed to providing the balance for your pets’ emotional and physical needs and well being while you are away. My goal is to provide the flexibility and personalized attention for your pet in your own home with daily care, play and special care needs. 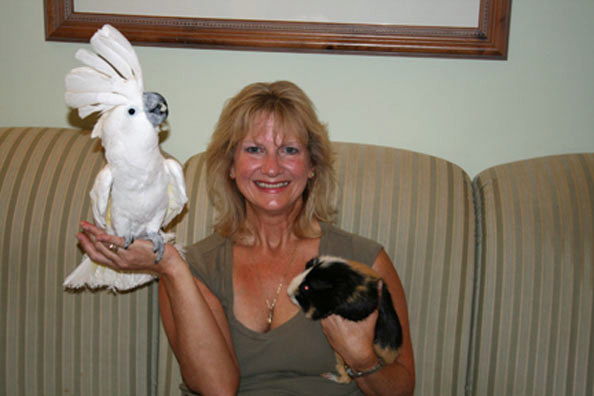 Birds of a Feather provides over 30 years of pet care experience for all domestic pets in the home specializing but not limited to avian (bird) care, small animal care and loving care for the elderly and special-needs pets.